In keeping with our educational mission, here’s a post about beer. There seems to be a surprising overlap (perhaps it’s not so surprising) between the maker/hacker community and the home brew community. We are aware of a few small commercial breweries who are already using Raspberry Pis to drive automation of things like pressure and mash temperature, but until now everybody brewing with a Pi has had to come up with their own solutions. 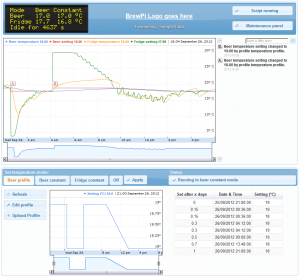 BrewPi user interface – lots of lovely, lovely graphs. Click to embiggen. 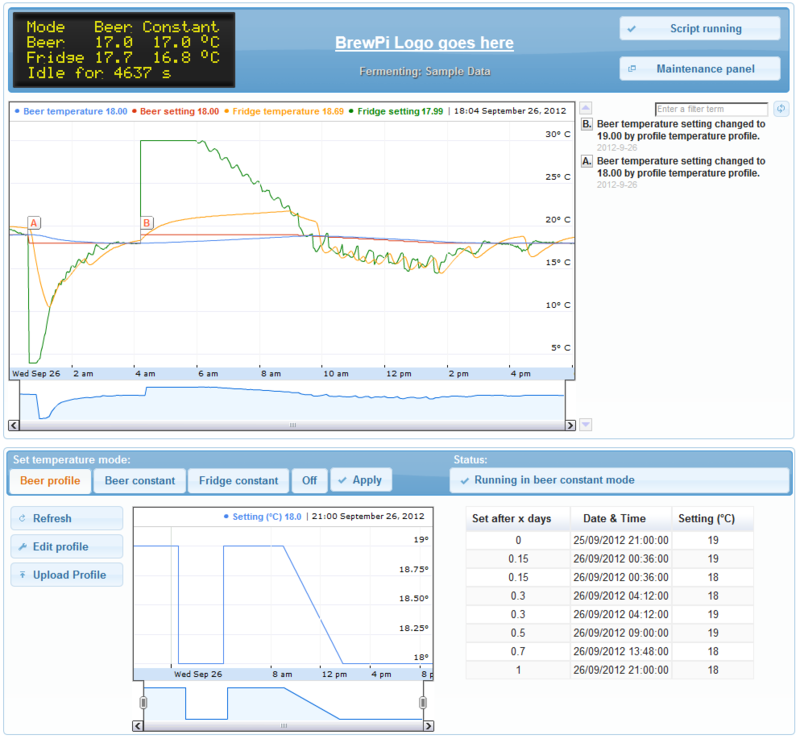 Elco’s currently working a digital specific gravity sensor (which at its current stage of development has to do with a weight dangling from a string), and he’s looking for community help with the continued development of BrewPi. Head over to his website, help out with the codebase and contribute to his wiki – and let us know if you end up using the software to do any brewing yourselves. +10 for the use of ’embiggen’ ! It’s a perfectly cromulent word. “Beer and Pi enthusiast”… Like it! I might use that one… “no fat, just a beer and pi enthusiast!”. Actually it is awesome for a couple of reasons: uber-geekery combined with a highly practical output. 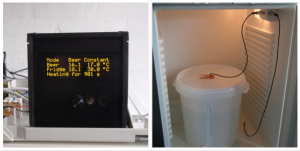 And I’m guessing it wouldn’t be too hard to modify the system to monitor and control temperature for other uses, for example fish (no not in the beer… in water in a fish tank). Best of all I can see this as being the most carrot-dangling of A-level compsci projects: “do well at this project”, says teacher, “and just as you finish your A-levels you can reap the rewards of your efforts”. Superb! … I mean Awesome! There is an extensive literature describing the measurement of the density of a fluid by measuring the frequency of an object vibrating in that fluid. This idea works because the fluid forces are proportional to the density. It may even be as simple as measuring the resonant frequencies of the container. The earliest reference I know is Lamb, H, 1921 On the vibrations of an elastic plate in contact with water. Proc. R. Soc. A. 98, 205–216. Why not use “embiggen”? It’s a perfectly cromulent word. Please elaborate – intrigued as to why you think it looks like a joke. But would a Pi give the full Raspberry flavour, like all those Belgian “fruit” beers? There’s nothing more enjoyable than a Pi and a Pint! Adafruit’s WebIDE for the Raspberry Pi is now in alpha – get testing!